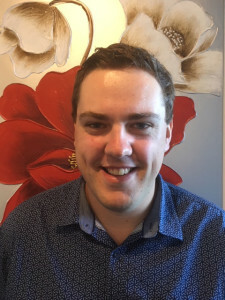 Josh completed his Master of Clinical Psychology in Queensland in 2018 and has obtained significant experience and skill in the assessment and treatment of clients across the lifespan from children to adults. Josh has experience in a range of clinical settings (group and individual) including inpatient psychiatric facilities, a trauma clinic and academic and educational settings. He has worked with a variety of mental health difficulties in these contexts, such as PTSD and trauma, depression and suicide, addictions, personality disorders and work-related concerns. Personally, Josh has a keen interest in both playing and watching sport, and understands the latest sporting research, particularly surrounding the reduction of performance anxiety, the importance of consistent and positive routines and how to enhance both training and performance. Josh is able to work with the athlete to identify why they are not performing at their optimal level and help them develop skills to create a more consistent performance. Josh has also conducted research into sports gambling and is able to help clients with this specific concern helping them to gain positive control over their behaviour. In addition, Josh has particular interest in working with older teenagers and young adults, particularly as they work through the stressors of VCE, and the transitions of university and working life. He also is able to assist children who struggle with social anxiety, low self-esteem, living with a traumatic background and adjusting to major life changes. Josh is able to work with both the child and the parent to help the child grow in confidence and learn key skills necessary for healthy social interactions. Josh employs a relaxed, client centred approach and an ease to engage clients into therapy; where the client is empowered to trial solutions in their everyday life and to overcome their obstacles to improve their wellbeing and overall life satisfaction. Josh’s primary goal in therapy is to equip individuals with tools that will enhance their coping with both current and future difficulties. Josh is available at our Canterbury office on Tuesdays and Thursdays, and our Ringwood office on Wednesdays, Fridays and Saturdays.